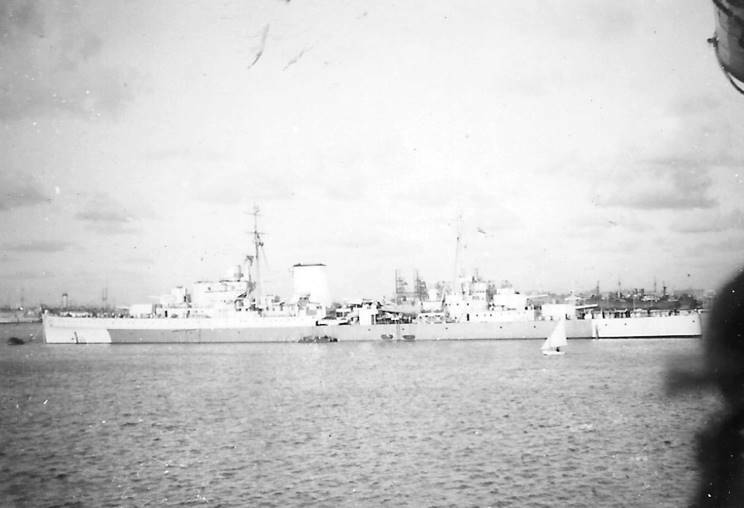 HMS Arethusa seen in March of 1945. 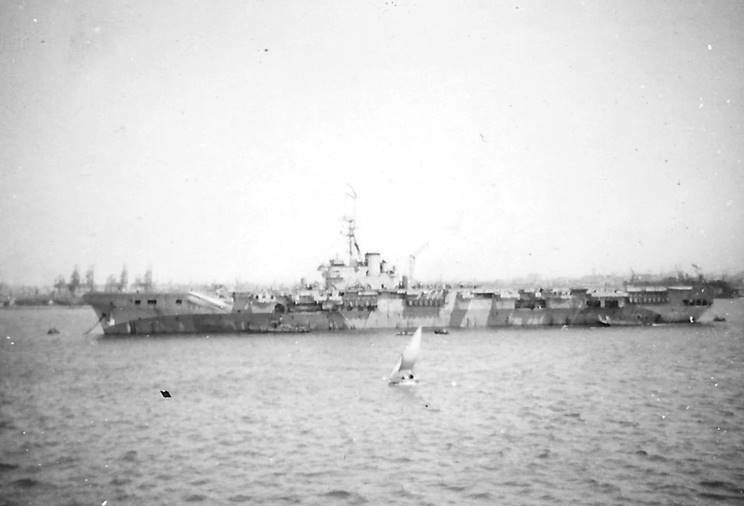 HMS Colossus seen in March of 1945. 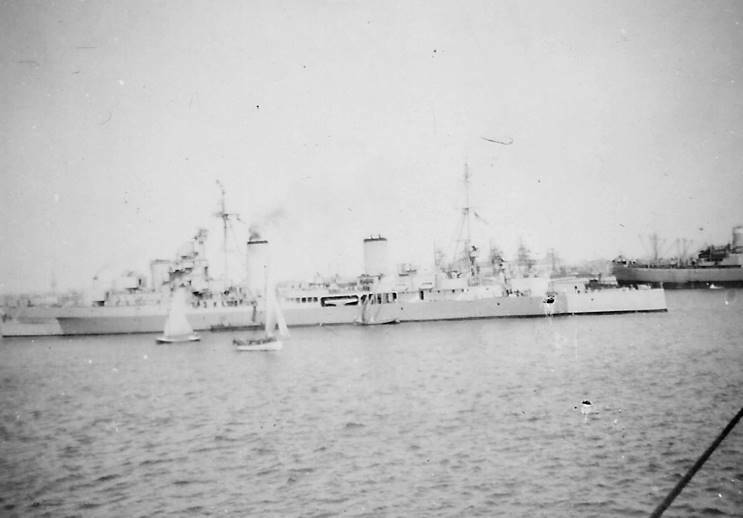 HMS Orion seen in March of 1945. 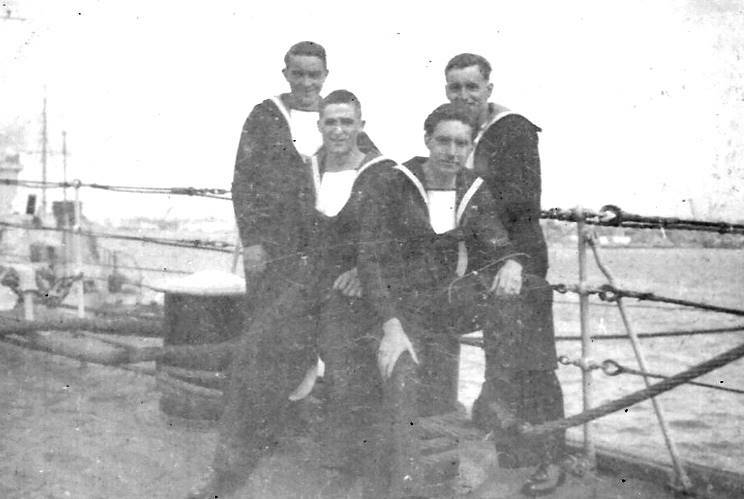 March 1945: "Some of the lads" seen onboard HMS Newfoundland off Alexandria, Egypt. March 1945: "Some of the lads" seen onboard HMS Newfoundland off Suez, Egypt. MaritimeQuest would like to thank James' daughter, Hilary Ferguson, for her efforts in scanning this collection and allowing us to publish it on the site. 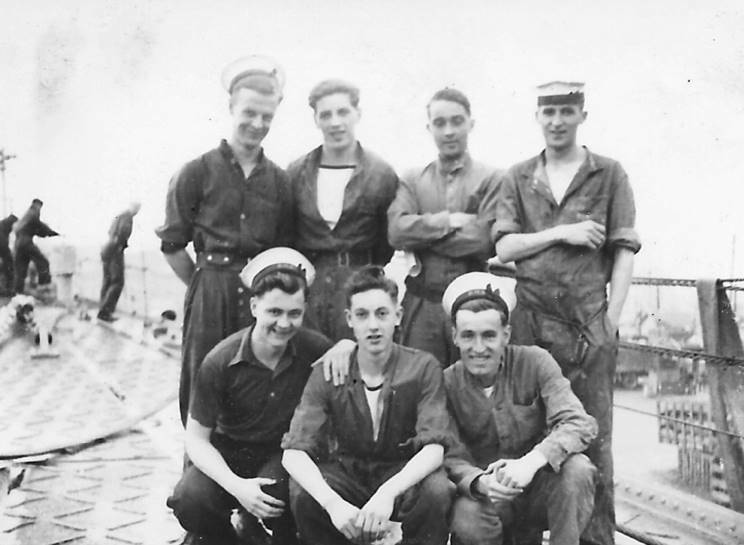 Read the account of James' time in the service; Life in the Royal Navy 1941-1946.